Join us in supporting Backpacks 4 Kids with NBC 4! 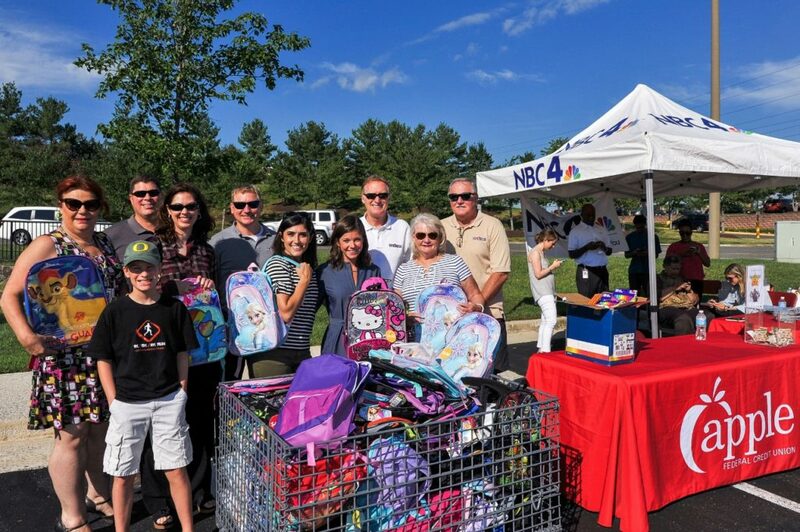 On August 8th, we look forward to again helping NBC 4 with their Backpacks 4 Kids campaign. This will take place from 6 am to noon at Apple Federal Credit Union, Kingstowne Branch, 6831 Sir Viceroy Drive, Alexandria, Virginia, 22315. This is a very worthwhile event that our team looks forward to participating in every year. We hope to see many you on August 8th! Our team will donate $1500 towards backpacks and supplies. Each filled backpack is about $20. The goal is to provide a filled backpack to 4,000 elementary school students across D.C., Maryland and Virginia. If you’d like to help, bring backpacks and supplies to the Kingstowne location on August 8th, send a check or donate online. If you are interested in other posts like this, you can sign up for our monthly digital magazine, Headed Home. It is filled with all things real estate, as well as fun travel ideas, restaurant recommendations and featured local events. You can see the latest issue here. Give us a call at 703-822-0207 anytime if we can help you with your real estate needs–whether you are thinking about selling, buying or renting, we are here to help. If you aren’t ready to talk yet, feel free to click here to see all homes for sale or here to get a free valuation of your home’s current value.